On the morning of her wedding, 24-year-old Beth Shaw drives down the peninsula to the Portsea Hotel. She is uneasy and confused because she has just learnt something devastating about her fiancé, Jordan, that completely changes her view of him. As Beth's old schoolmates and her relatives arrive for the big day at the bayside idyll, Beth contemplates her childhood in suburbia. She worshipped the school relay runners, one of whom was Jordan’s high school sweetheart. Painful memories of earlier disloyalties and betrayals resurface. Her dreams and wedding threaten to spin out of control. Will the truth ever be known? And must she make a fateful decision about more than just her wedding? Award-winning author Sallie Muirden deftly evokes the contradictions of human behaviour, and growing up in the 70s and 80s. 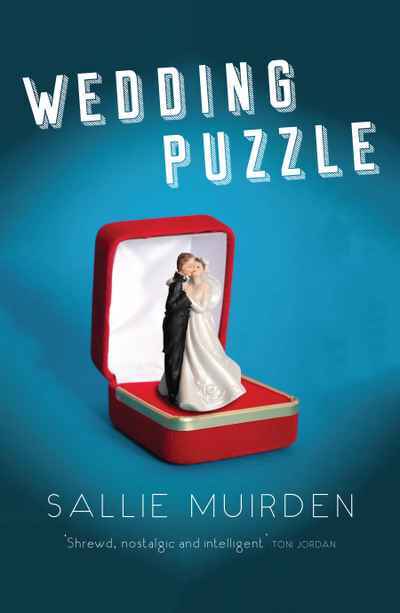 With its Austenesque feel, Wedding Puzzle is an astute, entertaining, and often tense comedy of manners, that considers our choice of partner and the decision to marry as the key moment in our lives.